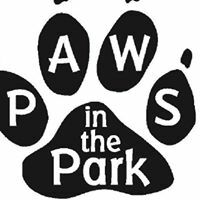 The South Windsor Jaycees will be holding their annual “Paws in the Park” event from 9:30am to 3:00pm on Saturday, May 4th and POA will be a part of it! Paws in the Park is a fun-filled, dog-friendly (and family-friendly!) event that raises awareness about canine shelter and rescue groups! With 150+ vendors and great food trucks, its an event that the whole family will enjoy! Come on out to meet POA dogs available for adoption and enjoy a lovely day at the park!